Steamboat remains one of my favourite meal for dinner as I could sit back, slowly enjoy and chat with friends or family; due to the cooking process. Well, this steamboat restaurant here attracted me as I had been dealing some family business with them for some time; and I noticed how packed they were even on some weekdays. 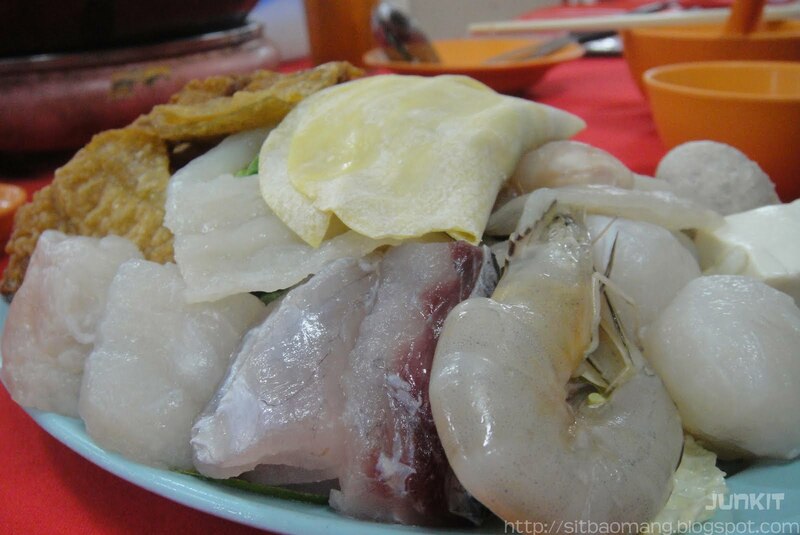 Ho Kee boasts some Pulau Ketam style ingredients, which I think being the reason why customers keep flocking back. We ordered a 1 pax set (RM 15.50) to be shared as we are ordering other food as well. Pretty large variety and big quantity for a one person set meal. 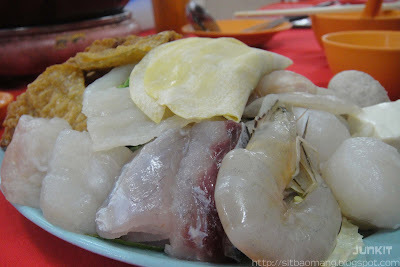 Aside from fresh prawns and fish slices, they have really good Pulau Ketam (I assume) fish products; ranging from fish balls to fish fillets and wantons. Probably one of their upper hands is not the normally mass produced fish balls you would get in supermarkets, bad texture! The opposite view to get a clearer picture. 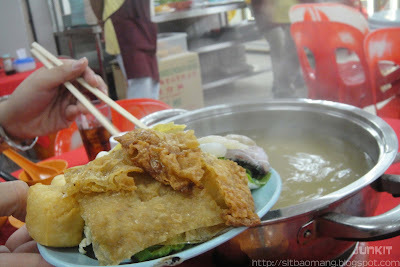 Some stuffed tofu, fish-meat noodles and fu zhuk. 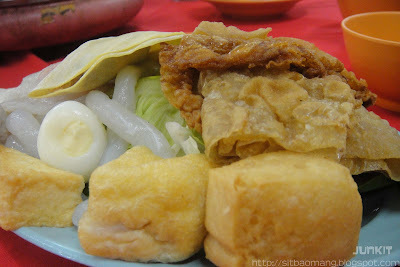 Love their crispy fu zhuk! 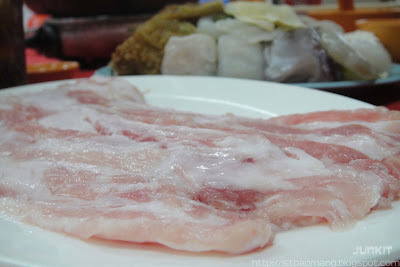 We also ordered the thinly sliced pork (RM 10), which I pretty regret. 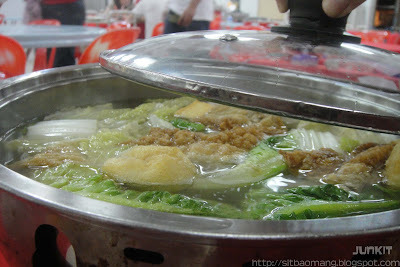 Reason being, the proportion of fats and lean meat is around 60%-40%; which I think has too much fats for steamboat! Eating a few slices already made me felt sick of it, not to mention the texture that is supposedly to have for perfectly cooked thin sliced pork is not there. 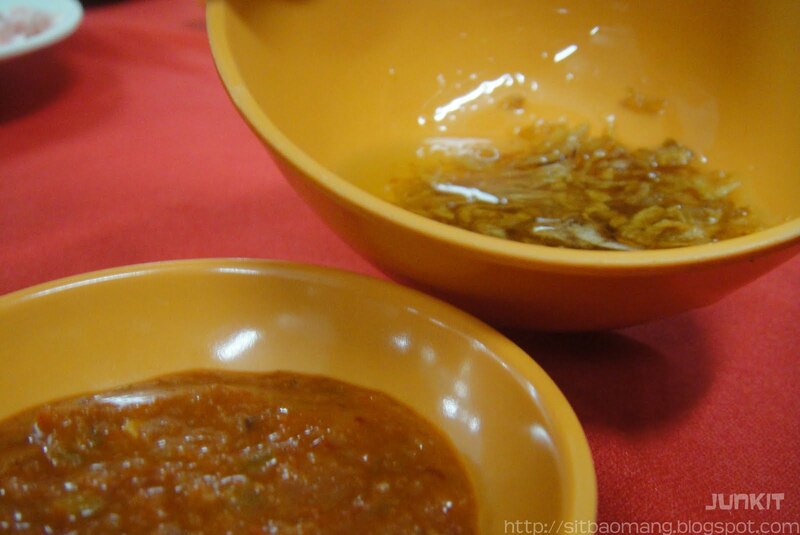 I noticed that many Pulau Ketam's styled steamboat attraction are their fiery chili sauce, and the oil + fried shallot combination. The chili sauce was good, great for spicy lovers for the extra uumph. 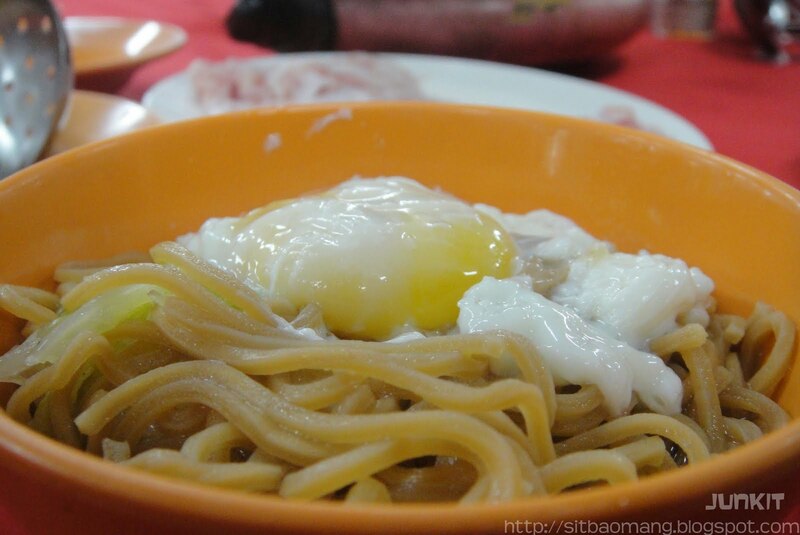 The oil + fried shallot is poured into the soup once the food is cooked, and was supposedly to add some fragrance. The, well fatty porks slices. Disapointed with this, obviously. My favourite yee mee with a sunny side up egg to complete the meal. 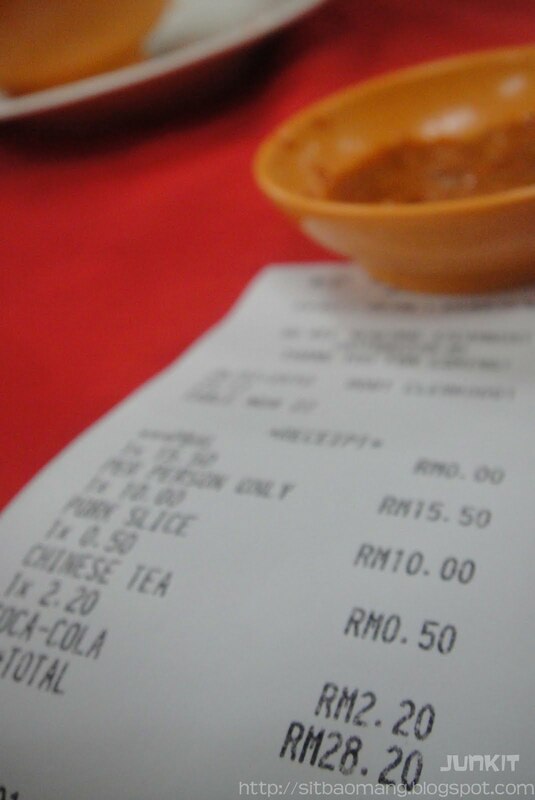 The total for a pax meal plus the pork slices came up to less than RM30. 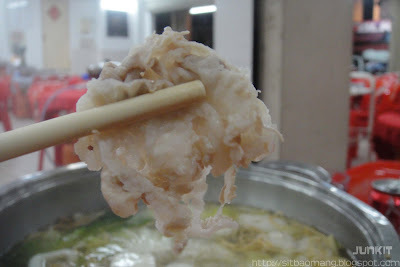 I would really recommend this restaurant for it's extensive and good selective of fish and seafood based ingredients; however, like what it boasts, stick to their Pulau Ketam products just to be safe. There are much better steamboat restaurants for pork slices if you prefer them like me.